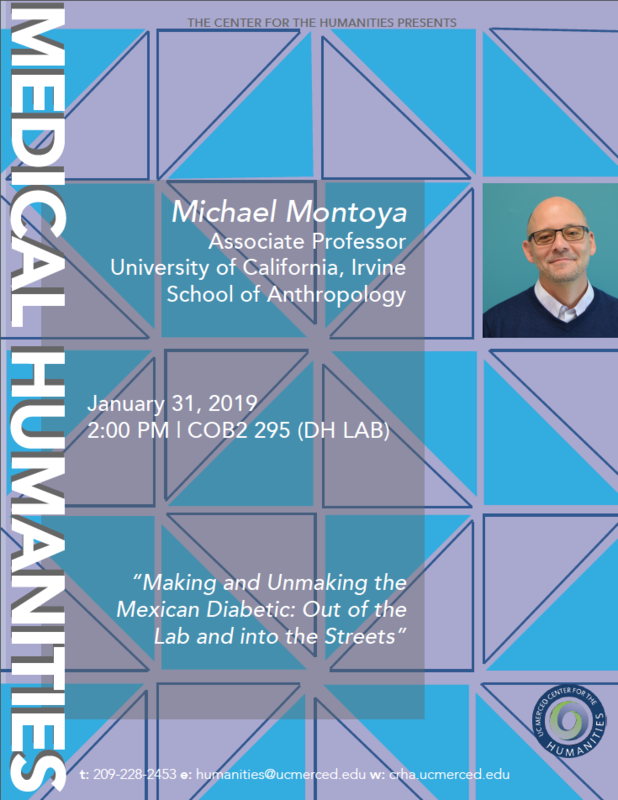 "Making and Unmaking of the Mexican Diabetic: Out of the Lab and into the Streets"
Home › Events › "Making and Unmaking of the Mexican Diabetic: Out of the Lab and into the Streets"
Join us January 31, 2019 as Associate Professor Michael Montoya gives a lecture, as part of the Center's Medical Humanities series, titled "Making and Unmaking the Mexican Diabetic: Out of the Lab and into the Streets". This talk will be held in COB2 295 (Digital Humanities Lab) at 2:00 PM. We hope to see you can join us.